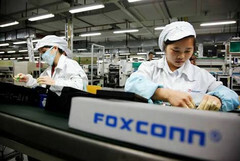 Foxconn, better known as a key manufacturer in Apple’s supply chain, has announced that it is acquiring Belkin, Linksys and Wemo through subsidiary Foxconn Interconnect Technology. In purchasing Belkin, it will also pick up Linksys and Wemo, which are owned by Belkin. The acquisition is valued at US$866 million in cash and follows its acquisition of Sharp in 2016. The move shows that Foxconn is keen to expand its operations and footprint beyond being simply a manufacturer of products, not only for Apple, but other companies like Microsoft, and into a much more fully fledged technology company. Belkin is of course well known for its consumer technology accessories, while Linksys is a major wirelesss solutions maker. Wemo is growing a reputation as smart home solutions product designer. The Taiwan-based company will likely be somewhat nervous about the deal going through, as it will first need to pass through the US Committee on Foreign Investment. The Committee recently raised red flags over the now failed bid by Singapore-based Broadcom to acquire Qualcomm. Citing national security concerns, the Trump administration banned the deal before the Committee had even reached a recommendation on the matter.